Seven Seas Marine Services Co. Originally founded in 1958 as the Jordan Maritime Industries Company (JMICO), Seven Seas Marine Services is firmly established in Jordan as a premier source of streamlined logistical services for land & sea construction and uncompromising ships services. 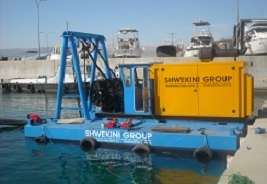 Part of the Shweikini Group of companies, Seven Seas is equipped to mobilize an array of physical assets and leverage other specialized resources to successfully accomplish even the most demanding of tasks, be it on land or sea. During the last 50 years, Seven Seas has achieved a long and momentous reputation for providing meticulous service to high level clientele, both public and private, with projects ranging widely in scope and scale. With a verifiable history for exceeding client expectations when dealing with complicated and technical issues, Seven Seas Marine Services Company is fully capable of achieving the desired result. 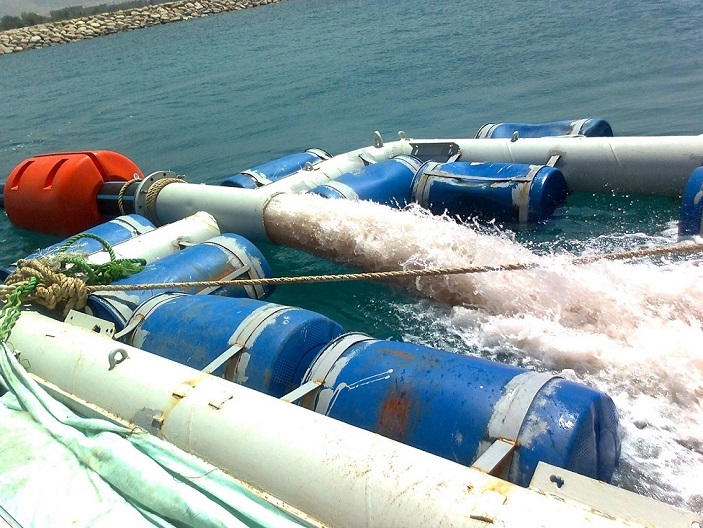 For example, Seven Seas owns tug boats, barges, cranes, dredging equipment, and other support vessels and equipment along with over 100 expertly trained and certified personnel operating in and around the Aqaba logistical village. Seven Seas also owns warehouse , workshop, yard storage and office facilities at various locations in and around Aqaba. As part of the Shweikini Group of companies, Seven Seas has access to truck & trailers, all types of maintenance and repair equipment and a host of other resources. Seven Seas’ ability to leverage exceptional expertise and draft on seasoned practical knowledge penetrates all areas of our operation. This makes Seven Seas Marine Services Company the number one choice for maritime or land based logistics, heavy sea based construction and ships services in Jordan and the surrounding region. The Company is verified and legally licensed as a buisness company in Jordan. The company is also registered in Ccr, Orca, and has transitioned to the new program SAMs. Seven Seas has also maintains a Cage Code and Duns registration numbers to sustain DoD eligibility for direct prime contracts. 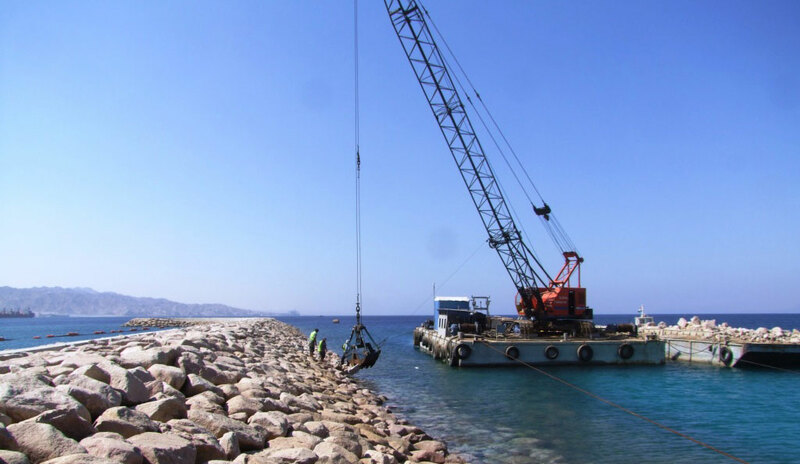 Seven Seas does maintain a working relationship with the Commercial Sector with Marine Terminal and Red Sea operations with Piling support, floating cranes, and the dredging operations as both a Prime and sub-contractor. 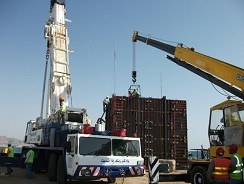 We also provide heavy equipment and operator support to special projects within Aqaba and the Dead Sea Area. Maritime Established of Aqaba Port. 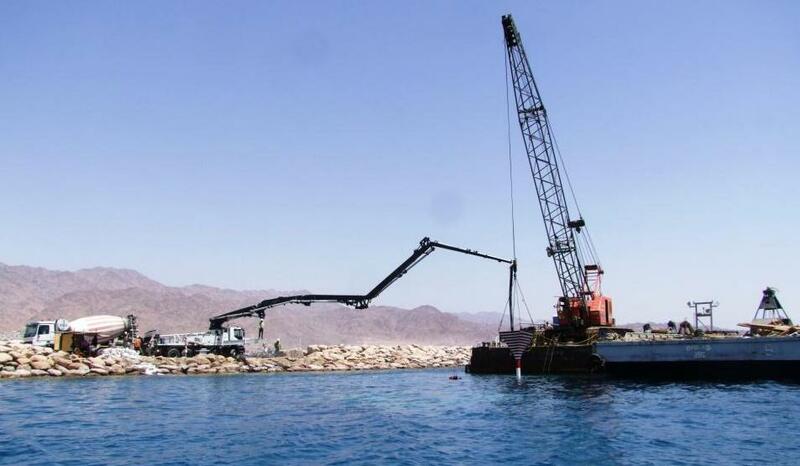 Presently “Aqaba Port Corporation”: Built 14 pontoons (harbor barges) each weighting 95 Tons, capacity 450 Tons. Built 4 RORO heavy duty barges with ramps, each weighting 185 Tons, capacity 450 Tons. 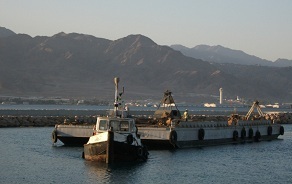 Shipping companies operating at Aqaba: Built 8 harbor barges, different sizes, capacity 400T. I.H.I Ishikawajima-Harima Heavy Ind. Ltd. Owner: Port Corporation: Fabrication & erection of deadmans, causeways to the floating berths 1 & 2. Tarmac Shahin J.V 93RD expansion of Aqaba Port), Tarmac Overseas Ltd. Owner: Port Corporation: Manufacturing pile collars, bearing plates, steel shuttering the main screens and erection of transit shed and cover stores, plus cadding. J.V Amman Resource, Gearbulk Ltd. Owner: Cement Factories: Cement Loading Terminal: T-shape barge 165 tons, conversion & modification of existing barges 30X10X2.5M, manufacturing 2 new pontoons. 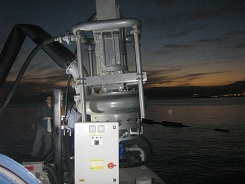 Launching the new cement terminal (T-shape Barge) into the sea. Current Project: Seven Seas is the current 3PL contractor for Jordan and has been performing since April 2008 under US Army Contracts. 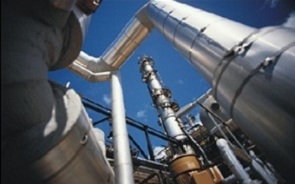 The service was excellent and no major safety issues were reported in any working site. This contract has been modified to include multimodal services for Afghanistan retrograde. (We have outstanding proposals for CENTCOM services and the 3PL Stevedoring and Related Terminal Services for Salalah /Oman for US Army Support). Current Project: we are under contract with the 26th Marine Expeditionary Forces (MEU) for line-haul, passenger movement, and rental cars to support 500 US Marines in Oman.We were also the prime contractor to the US Navy /Bahrain for the construction of the LCAC and Boat Ramp at the Royal Jordanian Navy Base.